A Pathfinder Society Scenario designed for levels 1–5 (sub-tiers 1-2 or 4-5, Core). You must have a CORE-registered character to participate in this game. NOTE: This GM has a Full FG license. 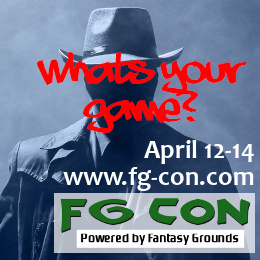 All Players will need their own FG license or subscription to play in this session. You may download the trial subscription at the FG Store. If you have already used a 30-day free trial, the cost to license FG for 30 days is only $4! I can do either subtier with my 2nd level Barbarian or 4th level Alchemist. I have a few different options depending on Tier. Mostly caster types though. Doh! Ok, guess I wasn’t thinking when I posted my other response. This is a CORE game. My suggestions were Standard PCs. For this I can have either a 3rd level barbarian/druid or a 2nd level pali…assuming they are alive at the end of the sessions they’re running through before the CON. Sounds like we’ll probably go 1-2 then. In that case I have a 2nd level Rogue who has aspirations to grow up and be an Arcane Trickster one day. I will probably bring Zwootwick for this one. He’s Level 3… I could bring Sputtwizzlefink.. he’s 2… but.. I guess it depends. I bet you come up with these names just to see people stumble over them. Male gnomes generally have long, interesting sounding names… it’s just a thing. Hmm.. ok.. so there are 5 sign ups (at this point). So far one person is committed to bringing a level 1 paladin. I have characters ranging from level 1-3. I don’t mind bringing a 1-2 character.. although I guess my preference would be to bring a level 3 (fey sorcerer). What about the rest of you folks? Hrm. Forgot to hit the notify buttons before posting. Damn. Fixed now. A Pali/1, Rogue/2, and Sorcerer/3 so far sounds like a good start to an interesting adventure. Sprinkle in either something arcane, ranged, and/or another melee of some kind with the other two and we’re set for ‘storming the castle’. A little healing wouldn’t be a bad thing to have… I could bring my brand new Desna Cleric instead of Zwootwick if need be… it depends on what you guys want to play, that is why I listed all of my CORE dudes as options. Healing? Are you planning on getting hurt? I’ve found that not being where the blow lands generally helps in avoiding any such nasty occurrences. Ok, so far we’re looking at Paladin 1, Rogue 2, and Sorcerer 3. Anyone else want to chime in on character ideas? Dave, do you want to send out a mass email in case some aren’t tracking the conversation here? I can bring a 3rd level witch (she might be 4th level by then? I have one game this Saturday and two games on the 9th provided I can make it to both of them) and a 1st level fighter. I can bring either. GM: cmdisc made a good point. As this is a CORE game, a character of the Witch class would not be valid. 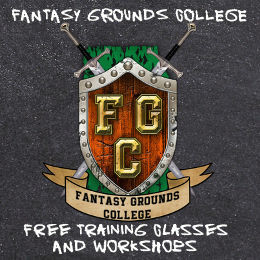 All characters must be registered with Paizo as CORE (PFC) characters. This is a CORE game and not Standard/Normal, so all PCs to be played must be registered as a PFC character on Paizo’s site. Everyone should have received an email with game information. 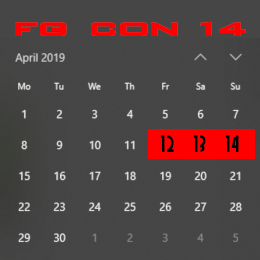 If you haven’t seen it, check your SPAM folders as it has FGCon 8 in the title. How are we looking party-wise? I’m assuming the witch is out since this is CORE and we’re still sitting on a Paladin/1, Rogue/2, and Sorcerer/3. Who else do we have coming along on this one? Still waiting on two players to send me their info. Just resent the introductory emails to them. It looks like we’re Tier 1-2, so I’ll play Princess Peach, level 2. Sounds like I should bring my new cleric. My sorcerer is pretty cool.. but can’t do much to heal anyone if they get hurt. Hrm. Actually, there is someone else signed up who we haven’t actually heard from. Well… I guess we’ll see what happens there. Blackfoot, cleric or Sorcerer both work. The Pali can use any cure wands and the Rogue can attempt to UMD them so long as he stays away from any Nat 1’s. We just have to make sure that anyone with 2 PP available has a CLW wand on hand so we can all share the cost. Atomichammer, are you Ashton or Phillip? And Dave, have you heard from the other one? I haven’t heard anything from Phillip. We’ll see if there’s any input prior to gametime. I’m playing Princess Peach again on Wednesday evening. I’m hoping for a Chronicle Sheet soon.